If there is one thing that traditionally ruins internet experiences more than Trojans, macro viruses and pop-ups, it's creating new passwords. 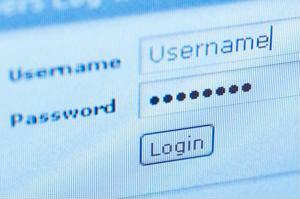 After all, how many passwords can one person remember? And even if you just stick to that one simple word or phrase, the variants of that - once you take mandatory capitalization, numbers, punctuation and character minimums (and maximums) into account - can exceed the realms of basic memory. Besides, how often do you actually sign into your Dominoes Online Ordering account? Password creation is a daunting task. While it was once a fun way to keep younger siblings out of your couch-cushion fortress, it's now a bland work day habit that requires more muscle memory than actual mental concentration. And of course, when you don't exercise a muscle, it gets pretty weak. Thus, your quick shopping trip online requires that you create a new account or wait 24 hours before you guess again - meaning you might as well have hopped in the car and driven to the mall. No wonder America would rather scrub a toilet. Or so says an online survey conducted by Harris Interactive between July 20 and 24. The survey, which covered 2,208 adults across America, revealed that 38 percent of Americans using the internet (i.e. everyone) would rather get down and dirty with a toilet than have to create one more username and password. An even more pessimistic 38 percent commented that world peace would be an easier goal than remembering their codex of logins. To be fair, the survey doesn't actually force folks to choose between one task or the other - toilet cleaning is, after all, a lot less daunting in the abstract than the concrete (or porcelain). The technology company Janrain commissioned the study and debuted the findings in an online press release recently. CEO Larry Drebes had this advice to give - "By creating strong, secure passwords that are changed regularly for the identities they use the most, consumers can take their identity across the Web instead of registering or creating a new password at every site they visit via social login." Not a word on bleach cleaners versus all natural alternatives. Nor did he put forth a preference on scrub brush styles. One is left with the impression that Drebes and Janrain don't really care much about toilet maintenance.